The USA Olympic shirts continue the recent policy of using a white home shirt, as opposed to the 15s, who use blue as the main colour, but like the most recent 15-a-side jersey, there are two distinct segments two the design. Subtle pinstripes are a common theme of modern jerseys, and here they’ve been used to give a lovely subtle hooped effect to the bottom half of the jersey, while the red fade on the top half stripes give a it a more modernist look. Indeed the combination of the thick red stripes, angular new BLK collar (which is a lot more striking than previous BLK designs, and recalls Under Armour’s dreaded ‘tongue’ design, but nicer) and the red-to-blue fade, stripe-covered sleeves give this shirt something of a cutting edge super hero vibe, if that’s your poison. Round the back the fade is continued around the hem of the jersey, adding a splash of colour to the white tone-on-tone pinstriped hoopes that make up the back of the design, contrasting sharply with those starry sleeves. Indeed, it doesn’t get much more American than stars and stripes, and this home shirt has it going on in spades. The alternate shirt abandons the stars, and to a certain extend the stripes, too, but there’s little doubt it’s still pulling out all the American stops in a different kind of way. A great deal more subtle than the home jersey, instead opting for a vaguely 70s, retro Americana style, with three distinct red, white and blue segments – it’s very distinctive, and a lot less Evel Knievel! It’s not as plain as it appears on first glance however, as just like the home shirt, the lower part of the design once again has some very subtle tone-on-tone hoops – this time they’re rendered in a pretty unusual ‘distressed’ fashion, adding to the retro Americana vibe. As with all the other teams in Rio, you won’t find the badge of USA Rugby on these shirts, instead opting for a striking ‘USA’ block type, that again, continues the 70s vibe. While we think both of these jerseys are really cool, there is one thing that both these shirts are lacking that would really make them something special. 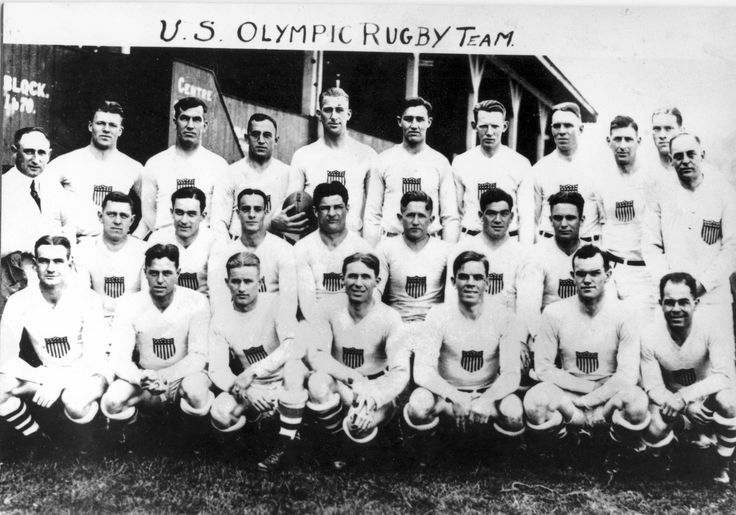 The USA are the reigning Olympic rugby champions, of course, having won gold twice in the 1920s before the 15-a-side game was cut from the games, and they did so wearing shirts sporting a large, distinctive stars ‘n’ stripes shield. We’re not sure if it’s to do with licensing or Olympic regulations, but it’s a real shame that this iconic symbol from USA rugby history hasn’t been incorporated into the design. Other than that, however, these are some seriously cool shirt – fit for the reigning champs!